When Might Outside Help Be a Good Idea? It is never easy to know for certain that it’s time to hire outside help. But some of these circumstances might make the right answer a little easier to recognize. For whatever reason, you’re noticing that your elderly family member can’t keep functioning independently as things stand right now. This might mean that she’s aging and tasks are becoming difficult or that she’s experienced an illness or injury that makes the situation worse. She may also have experienced emotional blows, like the death of a spouse, which makes taking care of herself more difficult. As much as you and other family members might want to be there for your elderly family member, that might not be something that is possible right now. If daily tasks burden you or other relatives, then homecare services providers can help to step into that gap. They can make sure that your senior is well cared for, even if you’re not the one who is able to do that. The big indication for many aging adults is whether or not they would need to leave their home. Most aging family members want to remain in their own home for as long as possible. So if the changes she’s experiencing mean that aging in place is no longer possible, she may be much more open to outside help. Sometimes you might want to help more, but your own circumstances just don’t allow that. 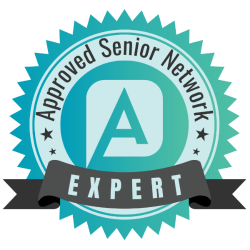 Hiring home care servces providers could be more about helping you to feel more comfortable about your senior’s situation than you were. This reassurance can go a long way. Lots of aging adults are stubborn and don’t want any help, but your elderly family member may have a more realistic approach. If she knows that she needs help in order to keep living life on her own terms, she may outright ask you for extra help. Hiring home care services to give her that extra helping hand gives her a chance to do what she wants to do most. Ultimately, there are a lot of factors that go into the decision to hire home care services providers. When it’s right for your senior and her situation is something that you’ll have to decide along with her and possibly with other family members. If you’re in doubt, you can always give the services a try to see how well they work in her unique situation. If you or an aging loved one are considering Home Care Services in Naples FL, call the caring staff at Dial-a-Nurse today. Naples: (239) 307-0033. Ft. Myers: (239) 307-0065.